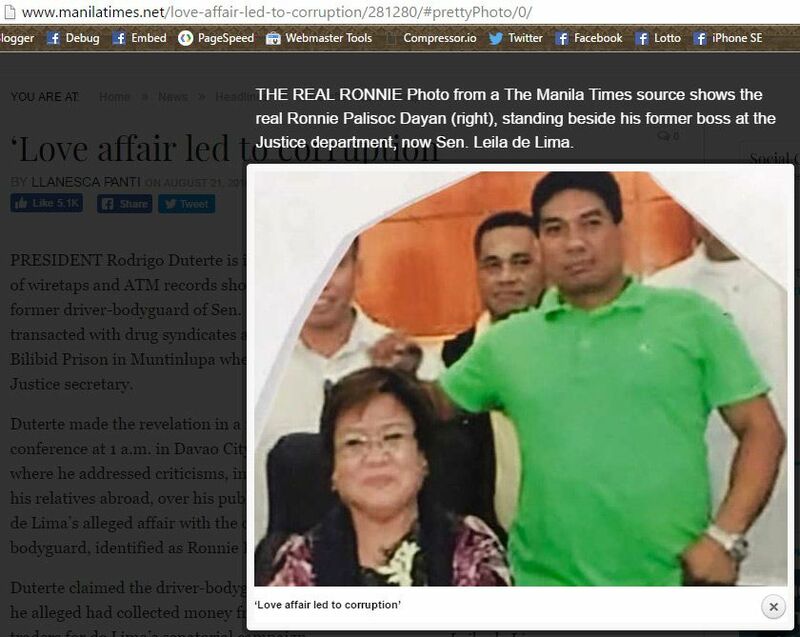 Home / dulce / news / president duterte / ronnie dayan / senator leila de lima / viral / Dulce hits De Lima's 'driver-lover': Is this the real Ronnie Dayan in photo? 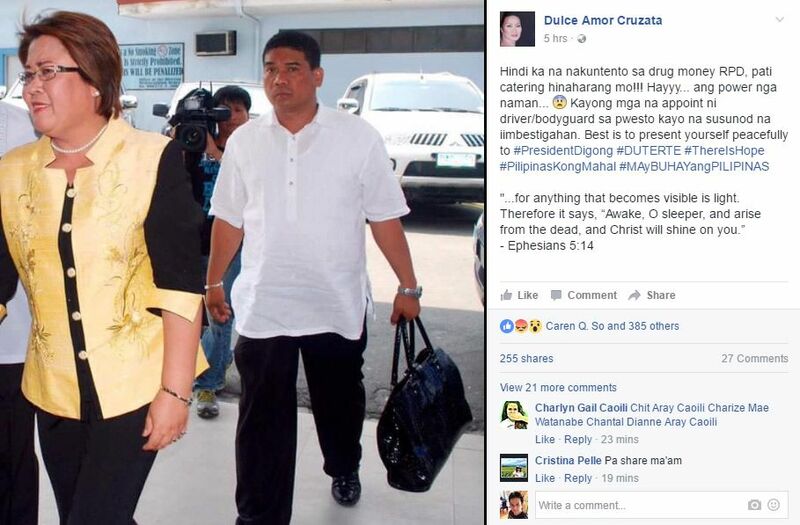 After posting about Senator Leila De Lima's alleged involvement in illegal drugs, Dulce has hit the lawmaker's "driver-lover," Ronnie Dayan. Both De Lima and Dayan have been linked by President Rodrigo Duterte to the illegal drug trade. During a press conference, the Chief Executive revealed that the senator's "driver-lover" collected money from convicted drug lords at the New Bilibid Prison in Muntinlupa during the campaign period. De Lima, on the other hand, denied the allegations and said she is willing to resign and be shot in front of the President if there is real and solid evidence against her. 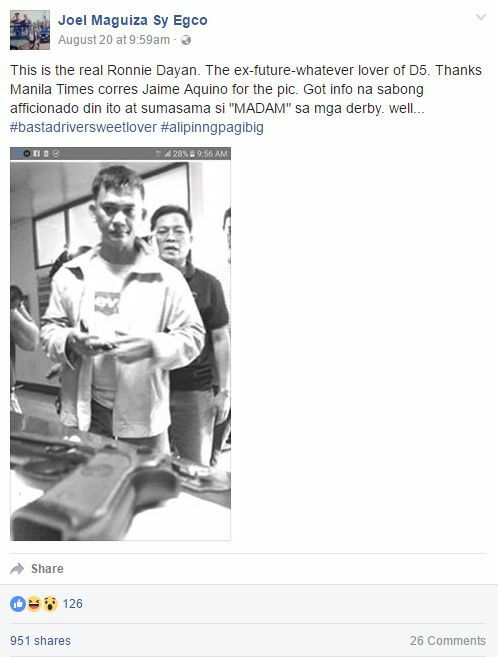 Meanwhile, Dulce did not categorically state that the man in the picture is De Lima's "driver-lover." 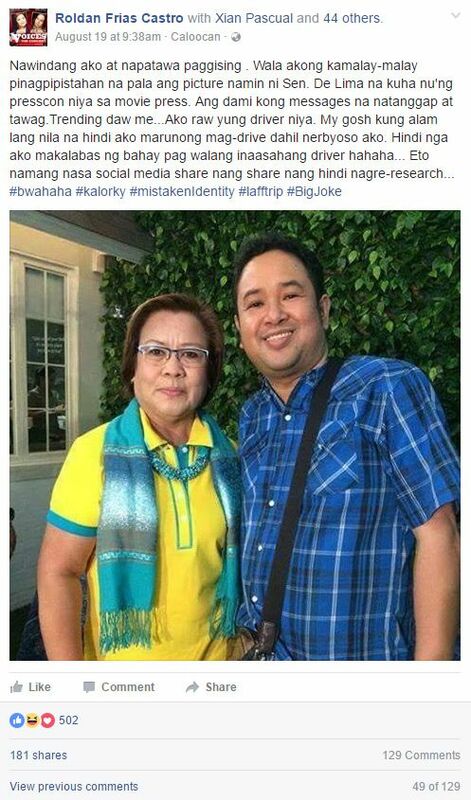 Social media have been very careful in posting photos after netizens mistakenly identified showbiz writer Roldan Frias Castro as Dayan. Another man, NCRPO Anti-Kidnapping Special Task member Joven Janairo, was wrongly tagged by The Manila Times assignments editor and chief reporter Joel Egco as De Lima's driver-bodyguard. Joven's sister, Amira Gold Janairo, threatened to sue Egco for libel. On Sunday, the Manila Times published a story titled ‘Love affair led to corruption’. Attached in the article is a photo of what the news outlet claimed to be the real Ronnie Dayan. 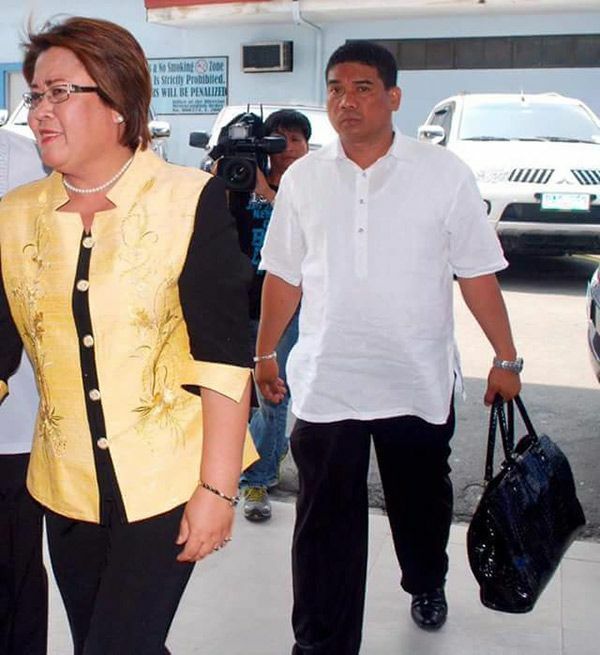 The physical and facial features of the man in green polo shirt just beside De Lima in the picture have a striking resemblance to that in Dulce's photo. The real Ronnie Dayan is said to be hiding "somewhere" in the Philippines now. Why is he hiding if there is nothing to be afraid about?